The South Georgia Conference is a regional body of The United Methodist Church, which includes the geographical area of South Georgia with Columbus, Macon, and Waynesboro as the Northern boundary. It includes 6 smaller geographical divisions called “districts.” Within these six districts are nearly 600 local churches. As the visible presence of the body of Christ, the local church is the place where members grow in faith and discipleship, putting their faith into action through ministry in the world. The South Georgia Conference is overseen by Bishop R. Lawson Bryan. Every year, historically in June, laity and clergy of the South Georgia Conference gather for business and worship at an event called the South Georgia Annual Conference. No matter how or where they serve Jesus Christ, United Methodists do God’s work in a unique structure—referred to as “the connection." This concept has been central to Methodism from its beginning. Connectionalism comes to life through our clergy appointment system, our mission and outreach, and through our collective giving. We live out our call to mission and ministry by engaging in ministry with the poor, combating diseases of poverty by improving health globally, creating new places for new people and renewing existing congregations, and developing principled Christian leaders. No one congregation can do all these ministries, but together—through the power of our connection—we can make a tremendous difference. We invite you to learn more about The United Methodist Church. If you are longing for something more in life, we want you to know that our our hearts, our minds, and our doors are always open. We are always happy to share our belief in Jesus Christ and His saving love. So consider this an open invitation to join us at any one of our local churches, and soon you will find connection with the only One who can give life true meaning and fulfillment. 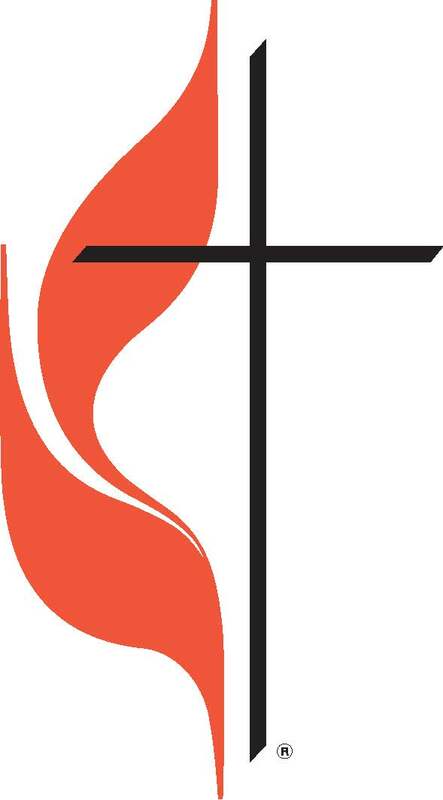 Each time you see the cross and flame emblem, you are looking at United Methodism's official symbol. Known informally as the cross and flame logo but formally known as the denomination's insignia, it has been in use nearly three decades. It is seen in cities, towns and rural areas at every point on the globe. The insignia is a cross linked with a dual flame. This symbol relates our church to God by way of the second and third persons of the Trinity; the Christ (cross) and the Holy Spirit (flame). The General Council on Finance and Administration (GCFA) has custody of the emblem. Because the cross and flame is an official insignia, any reproduction must be faithful to the original design. For that reason, reproduction proofs are available from GCFA. For more information, please visit The United Methodist Church website: www.umc.org.